It’s not that you need a particular pretext to write about David Bowie and his legacy, but if you have a really good one, that makes things easier. As you might know, in 2004, some hits of the “Thin White Duke” had a full and pretty successful Afro-Brazilian treatment, ending up in the soundtrack of Wes Anderson’s movie The Life Aquatic With Steve Zissou. If the outcome was thoroughly positive, the credit belonged to the Brazilian singer/songwriter Seu Jorge, who enriched with his smooth carioca touch Bowie’s timeless tunes. 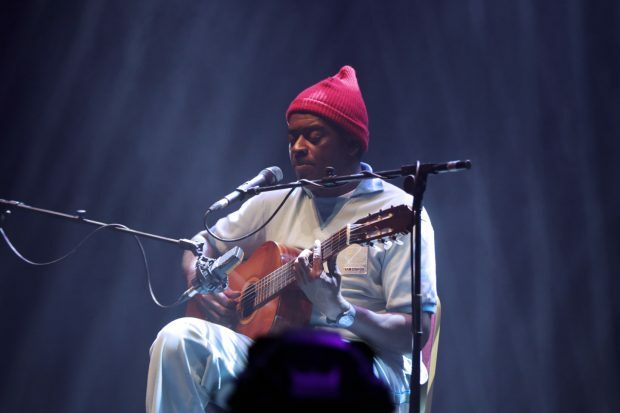 On Friday 8th February, Seu Jorge, accompanied by the overwhelming musicianship of The Heritage Orchestra (and introduced by Spanish singer/songwriter Gizmo Varillas), will breathe new and roaring life into those compositions. They will indeed pay tribute to the memory of David Bowie, reviving songs like ‘Starman’, ‘Rebel Rebel’ and ‘Life On Mars?’ on the Eventim Apollo stage in London. Bowie’s fans, Brazilian culture enthusiasts and music lovers at large are all invited to a glorious night, bringing together Musica Popular Brasileira and glam rock.